Paul is a passionate HR professional and an accredited executive coach with unique experience across Africa and the UK in the public sector, financial, airline, FMCG, and telecoms sectors. His earlier career was in the role of management analyst with the Directorate of Personnel Management, Office of the President. He subsequently joined Barclays Bank where he served in several roles in Kenya, Botswana and the UK. 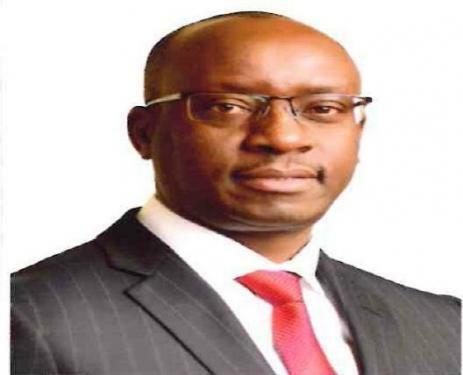 He later had a five year stint at Kenya Airways as the Group HR Director before transitioning to East African Breweries where he led the HR function for six years and then moved to Safaricom Limited as the Director Resources in July 2017. Paul’s purpose is to inspire the possibilities in others. Some of his key achievements include orchestration of an amazing people manager programme at Diageo, East Africa; project management of a $12.5 million flight simulator at Kenya Airways; and implementation of the first Barclays HIV/AIDS assistance programme in Botswana - voted as one of the top 10 comprehensive work place programmes in the world by UNaids. As a past chairman of the Institute of HR Management in Kenya he led the enactment of the HR Management Professionals Act in 2012 through proactive partnership with a number of stakeholders. Paul was also the first HR professional to be feted as the Manager of the Year at the Company of the Year Awards (COYA) in Kenya. He has served in a number of boards including Amref Health Africa in Kenya where he serves in the Audit and the HR, Finance and Administration Committees. A key area of interest for Paul is the ongoing culture journey for Safaricom as a digital company premised on the core elements of purpose, humanness, growth and trust. He is also championing gender diversity, and embedding a coaching culture across the business. Paul holds a Bachelor’s degree in Economics and Sociology from the University of Nairobi, a Master of Science in Management and Organizational Development from the USIU-Africa, an Executive Coaching Diploma from the Academy of Executive Coaching (AoEC) and is currently pursuing his PhD in Business and Management at Strathmore Business School.